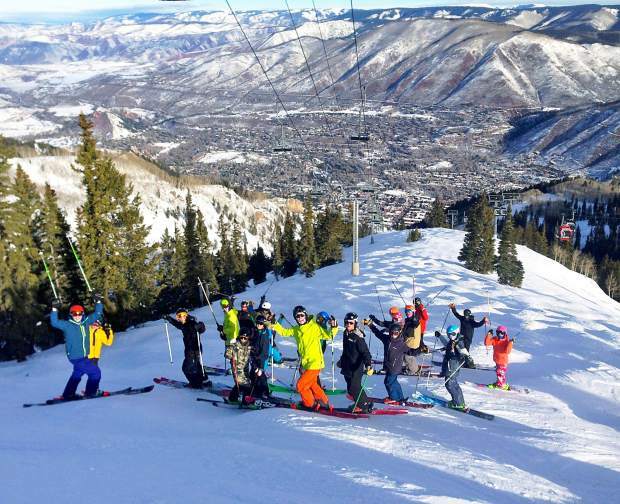 AVSC's big mountain team gets ready to practice on the Ridge of Bell at Aspen Mountain. In a field heavy with Winter X Games regulars, four AVSC freeskiers put down solid runs in the Whistler halfpipe during the April 12 AFP World Championships. Joey Lang, in 17th, was the top current AVSC athlete in an event won by alum Torin Yater-Wallace. 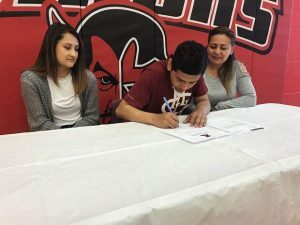 Lang, of Carbondale, was the recipient two years ago of a scholarship given to an up-and-coming skier by Yater-Wallace. Olenick said the skiers have benefited from growing up together through the program and not only because they’ve pushed themselves on the hill. “When one of them is having a hard time, they can really pick each other up. They have each other for comfort,” he said. Or at least they have someone to follow behind in the Pacific fog, conditions the group encountered during two of the practice days at Whistler/Blackcomb. Lang, Tierney, Carr and McIntyre are all ranked among the top 50 halfpipe skiers in the world right now, Olenick said. Freeskiers who compete in big mountain headed off in two different directions ast week for competitions in Breckenridge and Grand Targhee. 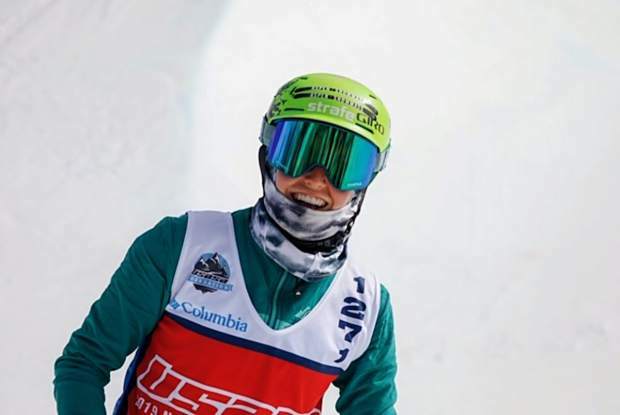 Closer to home, Andy Bass “skied some challenging, creative lines” during the IFSA Championships, according to coach Chason Russell. The contest was held April 8 and 9 at Breckenridge. 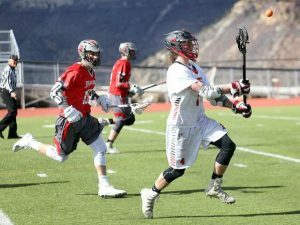 Across the West, big mountain programs are growing in interest, he added. That includes AVSC’s squad, which this year attracted 38 athletes (including those who crossed over into other freeskiing disciplines). Big mountain talent was certainly plentiful up in Grand Targhee, Wyoming, where three AVSC skiers — Jackson Ferraro, Will Morris and Brooks Gorsuch — competed in the IFSA national championships. This was the team’s second visit to Targhee in the past month and conditions were highly improved over the bulletproof surface that prompted organizers to cancel the March event. Coach JF Bruegger said the Targhee venue featured a 500-foot vertical drop and there was “mandatory air” required to drop in from the top. “The championships were pretty competitive; there were skiers from all over North America, including Canada and Alaska. There were quite a few skiers we had not met before,” he said. Competing in the 12-14-year-old division, Morris and Ferraro qualified for the finals. As the competitive season closes, AVSC’s director of the freestyle, freeride and snowboard programs said he’s pleased with the overall progress of his athletes. 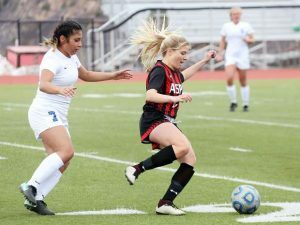 “The coaches, the systems and the processes of having the airbag in place now for the third season are really starting to pay dividends,” said Eric Knight. “One of the biggest across the board accomplishments in the freestyle program has been a year of better results, more podiums and a lower injury rate. It also speaks to the job the coaches have done,” he added. Today’s edition of “Weekly with Walt focuses upon AVSC’s four-athlete and one coach delegation who recently traveled to Abetone, Italy, for the Pinocchio Cup races. 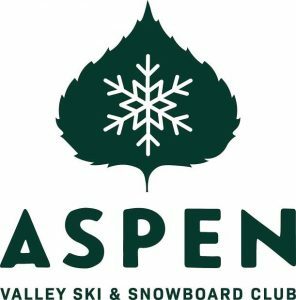 Abetone is set to become Aspen’s newest Sister City and coach Pat Callahan and skiers Will Laing, Gordon Davies, Madison Osberger-Low and Elle Murphy will discuss their impressions of the community and the skiing with host Walt Evans. Also featured on the program is AVSC board member Chris Davenport, who on Saturday was inducted into the U.S. Ski and Snowboard Hall of Fame. The late Curt Chase was also honored at the ceremony in Steamboat Springs. “Weekly with Walt” airs at 7 p.m. on GrassRoots TV, channel 12 (channel 82 below Catherine’s Store) and is repeated throughout the weekend. The program may also be viewed any time by going to grassrootstv.org.